Caucho at Devoxx - for the developers! Q1 has been filled with activity at Caucho! Developer Sean Wiley is on the road presenting at key events including Devoxx US. We continue to collect valuable feedback from Resin users and look forward to the next release, Resin 4.0.51. We encourage you to report any issues with reproducible behavior to bugs.caucho.com website, or by reaching out directly to us at presales@caucho.com. Sean’s presentation will provide details into how MicroServices can improve high volume web services, making bottlenecks a thing of the past. The talk will integrate these services with current architecture, allowing developers to use platforms they are familiar with for next generation applications. Devoxx conferences in Europe are famous for being vendor neutral community events, organized by developers, for developers. The events are always highly intellectual, geeky and fulfilling conversations with some of the best speakers and attendees in the industry. Ouch!!! We saw that Gartner estimates that downtime costs are >$300,000/hr with variation based on industry vertical and other factors. So we partnered with Elastic Beam to build a robust web application server environment that delivers performance, security and minimizes costly downtime. • What is causing availability issues with today’s Java EE application servers? 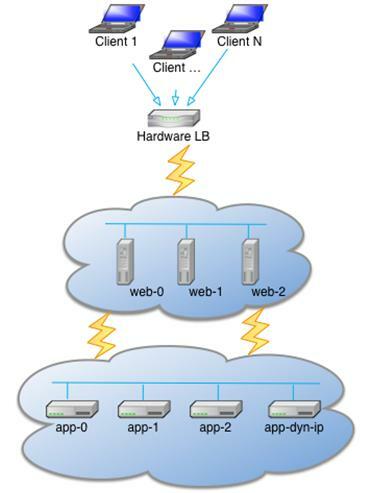 • What are the critical requirements to consider when building robust web-scale infrastructure? • How do you build highly available web infrastructure with a software only approach to avoid significant costs? • What types of hacker attacks do you need to worry about? • How to secure your applications against malicious activity? • How to track API usage and detect abnormal behavior? To learn more, please reach out to us at presales@caucho.com. We gave a talk at the San Diego Java Users Group on high availability of the Resin Application Server. The talk was well received and we were glad to share with the San Diego developer community details to improve their application deployments. Check out the abstract: Uptimes, scalability, clustering and performance monitoring are all important aspects of running a successful Java Web Application. This talk will focus on real world examples of features and advanced configurations deployed in the Resin Application Server to achieve success in the aforementioned aspects. Features and examples covered will reveal how users of the Resin Application Server are achieving 99.99% uptime with their enterprise deployments. Details and presentation slides are online at http://www.sdjug.org/meetings. Following up on Part I presented in January's newsletter, here is Part II. As always, we value your feedback so take a look and feel free to send your comments to wiley@caucho.com. Note that resin:LoadBalance has a cluster parameter which will be used to find servers that serve that cluster (Tier). In the case above the cluster is called 'app'. Web Tier resolves servers in the App Tier using resin.properties. Resin.properties configuration file must have a correct app_serversproperty which lists static App Tier servers. 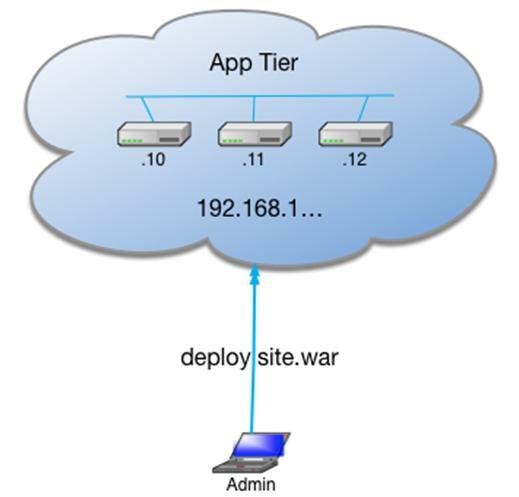 Once the Web Tier can find core servers of the App Tier it can resolve the dynamic servers using the cluster state that is communicated by the App Tier to Web Tier. Username and password are configured in resin.properties with admin_user and admin_password properties. Extended – New Years gift to optimize your configuration! Contact Caucho engineer Sean Wiley at wiley@caucho.com or (858) 456-0300 to set up a complimentary review of your deployment, including learning about new Resin features and tips to optimize your configuration. This entry was posted in Newsletter on March 15, 2017 by Sean Wiley.